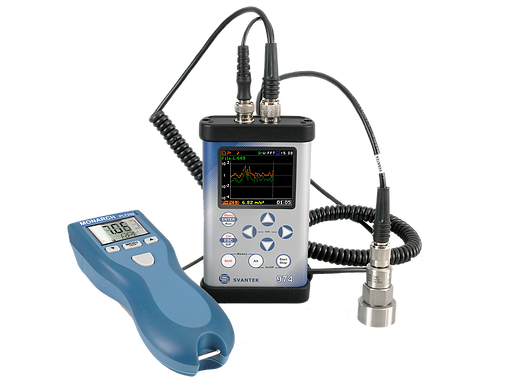 SVAN 974 Vibration Level Meter and Analyser is intended for general vibration measurements and machinery condition monitoring. It can be used by consultants, maintenance services, industry R&D departments etc. Instrument allows parallel acceleration, velocity and displacement measurements. 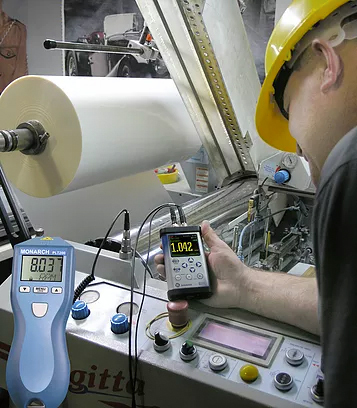 Three vibration profiles allow parallel measurements with independently defined filters and RMS detector time constants. Each profile provides a significant number of results (like RMS, Peak or Max). The advanced time-history logging for each profile provides the complete information about the measured signal. Measurements data stored to microSD card can be easily downloaded to any PC using the USB interface and SvanPC++ software. Instrument is powered from four AA standard or rechargeable batteries. The powering of the instrument from the USB interface is also provided. The robust and very compact case together with a light-weight design complete the exceptional features of this modern instrument.